Offered generously are the free online diwali greeting cards to make the grand festival of Diwali more exciting and happier! 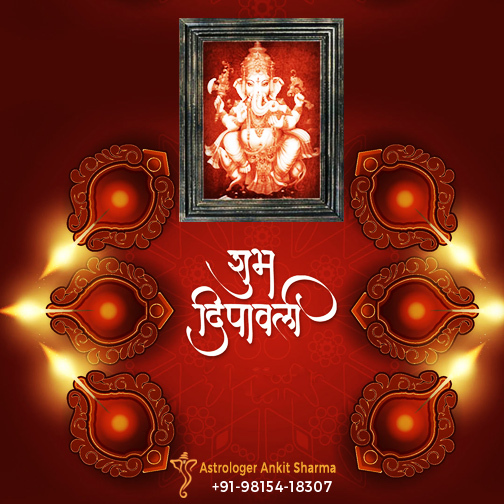 These highly aesthetic and glamorous Diwali greeting eCards are provided in addition to our full gamut of astrological and vashikaran services of global popularity. Not only for Diwali, our free online greeting cards are available for all other major and significant Indian festivals, personal and familial events, and festivals and events of global importance. The festival of Diwali (also written as Deepavali) is one of the greatest festivals of Hindus. 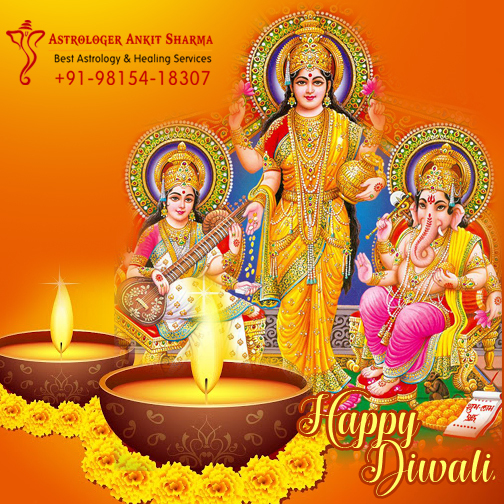 Today, this ancient Hindu festival of lights is also celebrated in many other countries of Asia and the world, besides India. Some of these foreign countries are Nepal, Singapore, Sri Lanka, Malaysia, Mauritius, Myanmar, Pakistan, Fiji, Tobago and Trinidad, Guyana, etc. 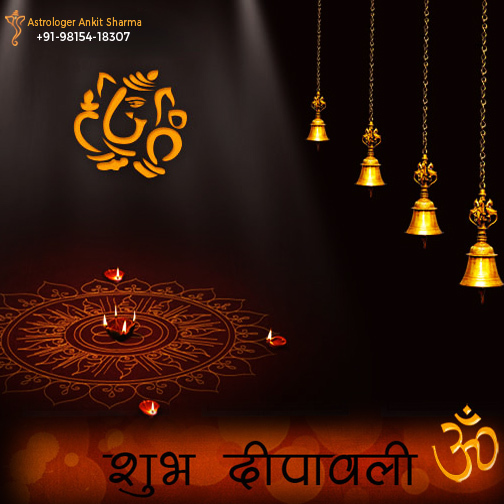 Spiritually, this one of the greatest festivals of India signifies the striking and glorious victory of light over darkness, of virtues over evils, knowledge over ignorance, and bright hope over gloomy despair. In northern and western parts of India, the whole span of this festival covers five days, the main festival night of Diwali coinciding with the darkest night of the month Kartika. 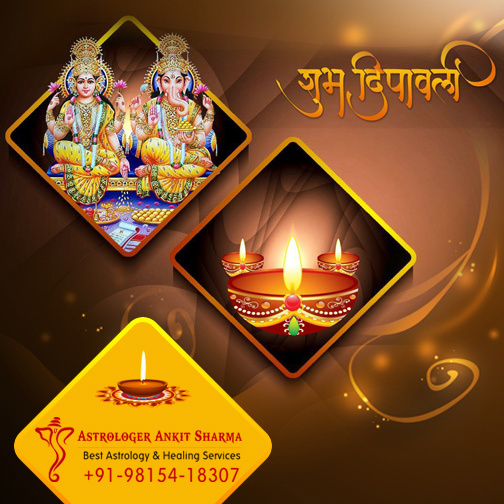 The festivities start with Dhanteras (occurring two days before main Diwali) and end with Bhai Dooj (which comes two days after Diwali).
" A Very Bright and Glamorous Diwali! "